Beautifully designed with an eclectic mix of classic styling, the Ermitage Chair by Eichholtz exudes elegance and sophistication. 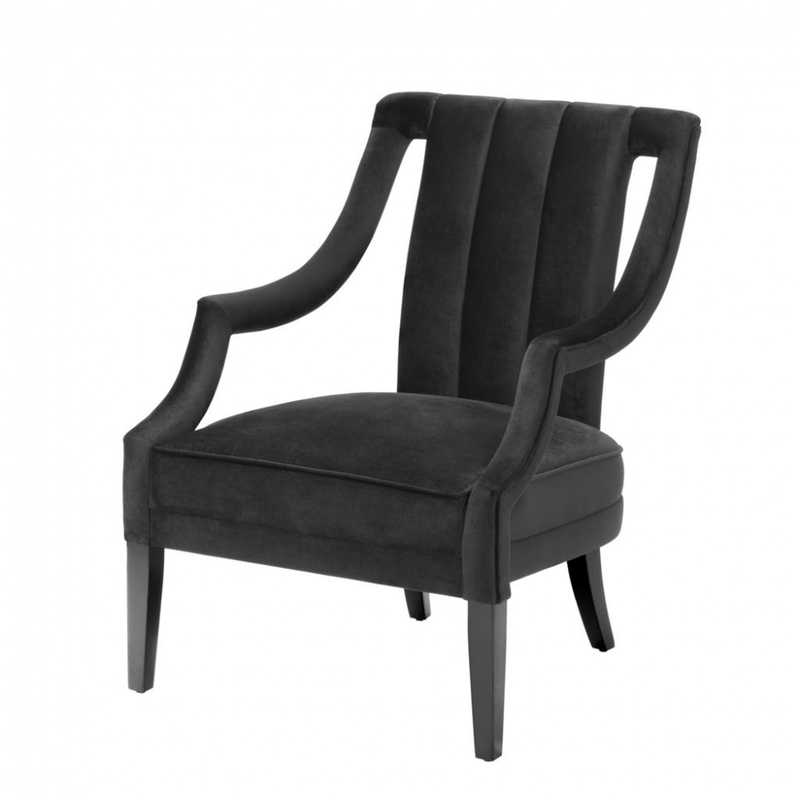 Available in a choice of either dark, strong Roche black velvet or a softer, more feminine Roche Bordeaux velvet the Ermitage Chair will add a classic contemporary twist to a range of interior designs in the home or office. Perfect for a bedroom suite as a desk or dresser chair, a lovely finishing touch to a boutique hotel reception desk or as casual seating in a foyer, cocktail bar or luxury yacht, the Ermitage Chair will always deliver on style and comfort. Dutch interior design house, Eichholtz pride themselves on their eclectic collection of beautiful furniture, lighting and accessories carefully selected from around the globe. Founder, Theo Eichholtz travelled the world from a young age developing a discerning eye for craftsmanship and style, and sources only the finest of the finest items to add to their luxury brand catalogue. Here at Uber, we have an extensive directory of Eichholtz luxury homewares and other, similarly high quality interior brands to choose from. Why not contact our expert interior design team for further details and inspiration?